Teachers' unions from Buenos Aires City and Province mobilised members today, marching from the former Education Ministry to Congress during their 48-hour national strike. Teachers' unions from Buenos Aires City and Province mobilised members today, marching from the former Education Ministry to Congress in the midst of a 48-hour national strike, with protesters demanding a larger budget for education in Argentina and a better offer for teachers in ongoing wage negotiations. CTERA, the largest national teachers' union, called the strike amid ongoing talks over salary adjustments, in the wake of rising inflation. It called on members to march first on the former national Education Ministry, which was recently downgraded to a secretariat in President Mauricio Macri's move to slash the number of government ministries, before following onto Congress. Coming just days after a brutal attack on a teacher in Moreno, Buenos Aires Province, a slogan of "We are not afraid" became a rallying cry for demonstrating teachers and unionists. "In front of the Congress, the representative of the people, and with the Government House behind us, two symbols of democracy, we say: 'We are not afraid! Struggle! More struggle!" declared Mirtha Petrocini, the head of the Federation of Educators of Buenos Aires Province (FEB). 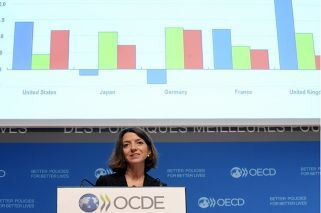 In a speech, Petrocini paid tribute to Sandra Calamano and Rubén Orlando Rodríguez, the deputy principal and teacher's assistant who were killed when a gas supply system exploded at Moreno's Public School 49 "Nicolás Avellaneda" back in August. She also asked for justice for Corina De Bonis, the teacher who was kidnapped and tortured in a brutal attack in the same municipality just days ago. Olga De Bonis, the mother of the victim, said today her daughter "is very hurt and scared" after the assault. She said the teacher was attacked just four blocks from her home after walking home from school. "There were three people, one driving and two accomplices," the mother said, revealing that a hood was placed over her daughter's head and that the skin on her belly was cut with a sharp implement, as the attackers wrote on her body. "She never imagined a kidnapping," De Bonis added. Roberto Baradel, the head of the SUTEBA union, said today that De Bonis was one of a number of teachers who had received threats from anonymous individuals, linking the attack to vandalism of teachers' cars. He said some teachers in the area had been threatened through graffiti and told to "stop doing politics." 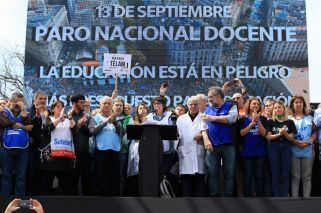 At the march, CTERA chief Sonia Alesso warned the government to put aside more money for teachers and education supplies and services in Argentina. 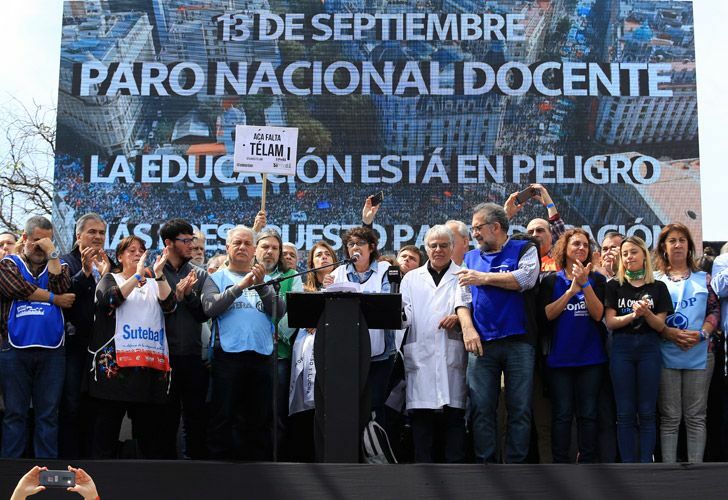 "This is a strike to tell the Macri government that we want a greater budget for Education," she declared, adding that she supported legislative attempts in Congress to "defend the education budget" and deliver more money to teachers and children.